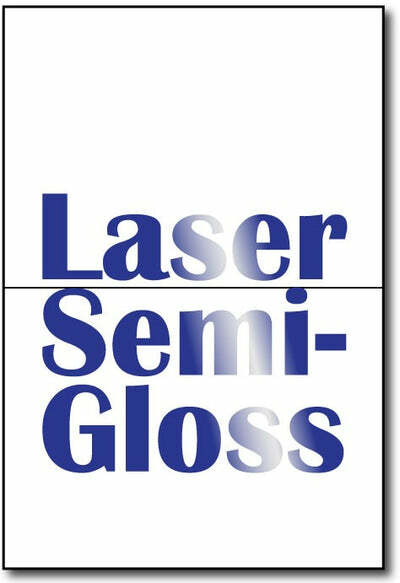 Double-Sided Laser Semi-Gloss A6 Cards are the perfect stock for your greeting cards or invitations! Our A6 Cards measure 4 5/8" x 6 1/4" and fit perfectly into our A6 Envelopes (sold separately). For printing convenience, cards are packaged flat, measuring 6 1/4" x 9 1/4". Scored for easy folding. Made from an 80lb (216 gsm) White Double Sided Semi-Glossy Cardstock that is Laser Compatible Only. Glossy & printable on both sides of the stock.